New at I/ITSEC we didn’t know what to expect. We do not normally cover the military flight simulation environment. That is, until now. The theme and the exhibitors at the event were nothing short of awe inspiring. The venue was massive, the Orange County Convention Center in Orlando. The event’s theme was: “Launching innovation in learning: Ready, Set, Disrupt!” and they surely did that. Hundreds of exhibitors showed their wares; from very large manufacturers such as Boeing and CAE, to very small producers and integrators. I/ITSEC is about simulation, not only in aviation, although it seemed that aviation took center-stage, but simulation and modeling across applications. We saw Humvee and truck simulators, medical simulators (mainly battle-wound care), boat simulators (some amazing ones), parachute simulators and more. 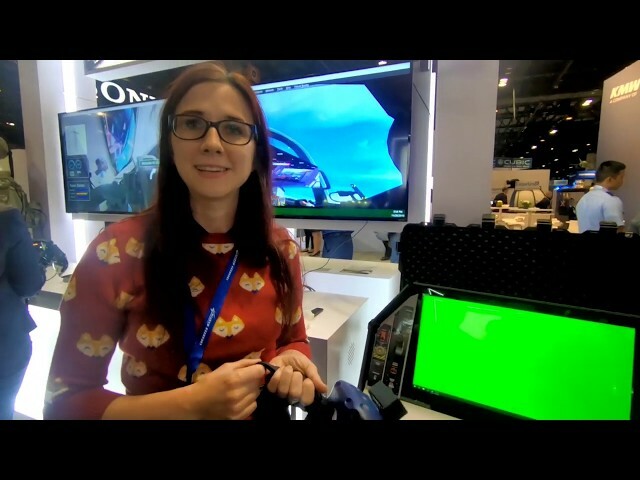 At I/ITSEC we saw the prototype of the new portable, mixed reality concept Lockheed-Martin is working on. Based on P3D is called Deployd3D as it can be deployed in a small case with full sim functionality. Virtual Reality, Augmented Reality and Mixed Reality, were all center stage here at I/ITSEC. We saw some very creative ways for people to actually fly on their own simulated in VR. These included a Qantum VR parachute simulator, where the trainee is suspended by straps in VR. PLWModelWorks detailed 3D imagery was on display using a fairly innovative setup. The viewer lays down and controls what resembles an aircraft frame, with adjustable wings and even a fan right in front, to blow wind on the user. VR was used in a number of applications, including pilot seat ejection with cueing, which allows the seat to provide input that resembles the sensations experienced in flight. We found an entire range of tools for aerospace and simulation use, including a large format 3D printer by 3dplatform.com capable of printing an entire panel in one piece. The build envelope for this printer is 1mx1mx0.7m. It was quite impressive to see such a precise and large print being churned out flawlessly. 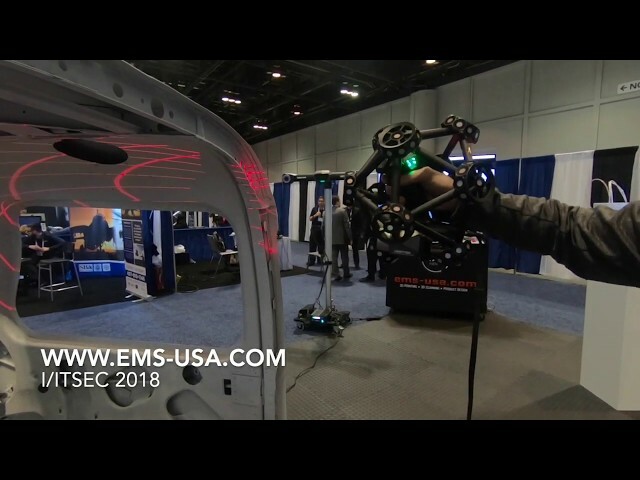 Advanced scanning technology, was on display at EMS-USA. This hand-held, multi-head scanner is capable of accurately rendering any surface in 3D. As we learned, this is of much use with companies that have inventory preceding 3D technology and who want to archive forms and dimensions of their products retroactively. This scanner allows manufacturers to accurately reproduce shapes and dimensions of any object for archival or reproduction. By EMS-USA at I/ITSEC 2018. Innovation in training was brought by simulator giant CAE. The innovative system they presented, CAERise™, is capable of providing trainees with ratings for each component of each phase of flight conducted on a simulator. In a live example we saw a landing performed and evaluated according to key criteria, as shown in this image. 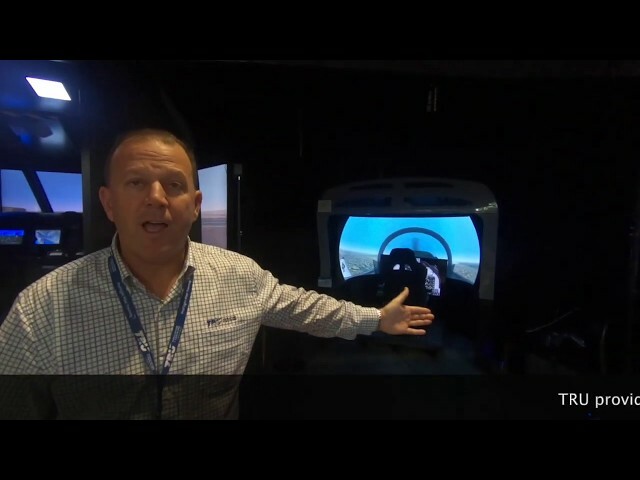 TRU Simulator and Training showed us more innovation with their impressive mission setup, in which an operator can simulate any scenario with two or more aircraft able to see each other and reset the scenario quickly for another try. We also found time to fly their V280 tilt rotor simulator, which was a very interesting experience. TRU Simulation + Training provides a complete training solution using simulators ranging from FTD to FFS. Additionally TRU offers the capability to faithfully conduct multi-aircraft missions through any customer scenario. We had the pleasure to bump into some old friends, omnipresent Mario Ackermann from Brunner was there showing an integrated mission environment and their motion platform flown in VR. Integrators should look at the many components shown here and at many other shows and exhibits around the world, many of which we attended, to understand how mature the simulation industry that started years ago for markets as ‘edutainment’ or ‘prosumer’ has become. Lastly on this post, we stopped at SCT, Simulation and Control Technologies, a company based in upstate New York specializing in control loading and motion systems. Their new line of motion system is absolutely impressive. We interviewed Frank Fuller on their product line. Simulation and Control Technologies (http://www.sctcontrols.com) is a company based in upstate New York specializing in control loading and motion systems. Here is an interview at I/ITSEC 2018. 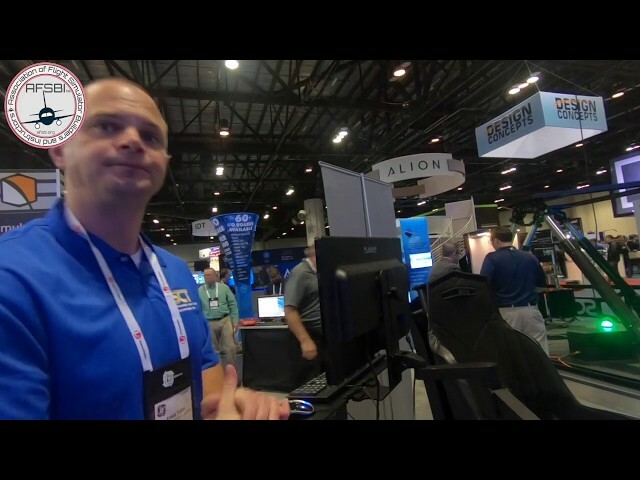 For a more in depth look at all the products and services we saw at I/ITSEC, check out our YouTube channel. We also report on Learning at I/ITSEC, this year’s theme in another post.